Total height necklace: 50 cm and adjustable. 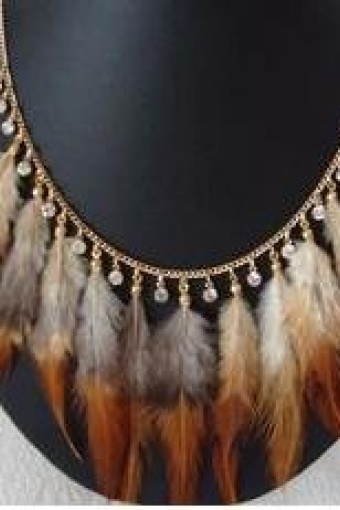 Vintage inspired Diamonds and Feathers antique gold necklace by From Paris With Love! 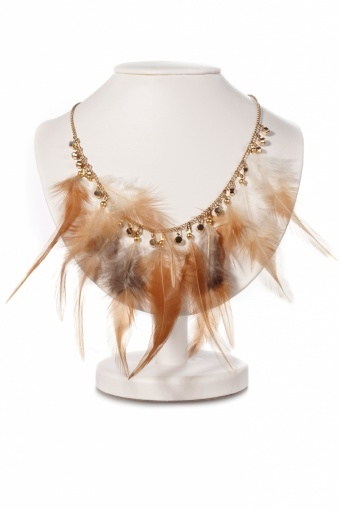 Very elegant antique-look gold tone necklace, richly decorated with feathers in distinguished brown and grey tones and rhinestone charms. Material: gold tone metal (nickelfree) with lobster closure.